“I thought I could handle my case on my own, but after a year of frustration fighting with the claims adjustor, I turned my case over to Paul Hofmann.” Charlie O. “As an alien in this country, I was afraid of contacting anyone about my accident. They had Spanish speaking people at their office who helped me and kept me informed during the process.” Alex V.
More American workers are injured or killed in construction-related accidents every year than employees in any other field. In 2015, about one in five work-related fatalities occurred in construction, and over 58,000 workers suffered some type of non-fatal injury. In New York, more than 5,500 construction workers sustained an injury that forced them to miss days of work, roughly equal to 15 construction injuries every day in the state. Despite these statistics, dedicated construction workers head to the job site each day to continue building and developing the structures that help keep our country moving forward. Employees in the construction industry understand the serious nature of their work and realize the risks involved, but this does not mean workers don’t have rights. If you are a construction worker who has suffered serious injuries on the job or a family member of a construction worker who was killed in a scaffold accident, crane accident, or other construction site injury, you have rights that can be protected. At Hofmann & Schweitzer, our legal team has more than 35 years of experience protecting the rights of injured New York City construction workers and their families. Our lawyers know how to fight and win cases involving ladder falls and other construction site injuries. Falls. One of the most consistent types of accidents on construction sites involves falling from scaffolds, cranes, roofs, ladders, and objects accidentally dropping from high places. Confined space accidents. Workers entering manholes, tunnels, pipelines, trenches, storm drains, septic tanks, and shafts can be exposed to a variety of hazards and dangerous air conditions. Lifting and back injuries. Back and shoulder injuries are a common injury in construction-related occupations due to the physical nature of the work. Hand and power tool injuries. Working with knives, digging tools, hammers, drills, grinders, power saws and nail guns, are dangerous in nature and a common source of injury on construction sites. Faulty equipment. Malfunctioning, poorly maintained or defective heavy industrial equipment or simple tools can lead to amputations, broken bones or other injuries. Dangerous work sites. There are numerous injuries and hazards construction workers face when they arrive at the job site each morning. Work vehicle accidents. 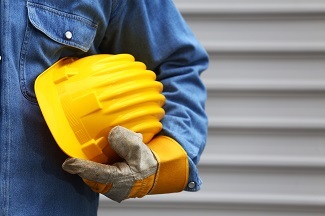 Workers can be injured while driving, operating machinery or working around vehicles or construction equipment. Collapses and shifting surfaces. Uneven or unstable surfaces pose a danger on job sites. Workers can also be injured by collapsing buildings, walls, trenches, building materials and other unsecured structures. Improper storage, loading, and unloading. Workers loading and unloading materials and equipment can be struck, crushed or injured by shifting heavy loads. Chemical exposure. Many of the chemicals used on construction sites are extremely toxic and hazardous, leading to serious chemical burns and other injuries. Electrical accidents. Electricity represents one of the most consistent and serious dangers in the construction industry. We represent families of electrocution fatalities and construction workers injured in electrical accidents. There is no way to avoid all dangers on a job site. However, if you are a construction worker who has been hurt on the job or a family member of someone who has died in a construction accident, you deserve to be compensated. Anyone in construction in the New York area has some knowledge of Labor Law 240, which is unique in our area. This law allows workers who suffer injuries from heights to pursue compensation directly from negligent general contractors, which is typically barred in construction injury cases. Employers and contractors have a responsibility to educate and protect their employees, and when they fail in that duty, they can be held accountable. Our lawyers have exceptional knowledge and experience handling construction accident claims under NY Labor Law 240, as well as Labor Law 241 and Labor Law 200, which also address workplace safety and employer behavior. Additionally, other laws and mandates dictate how employers and employees should behave in the workplace. The Occupational Safety and Health Administration (OSHA) sets federal worker safety laws and inspects businesses for compliance. Unfortunately, construction sites are notorious for frequently violating OSHA regulations. In fact, fall protection is the most frequently violated standard nationwide, while scaffold and ladder violations both appear in the top seven. Employers are required to follow OSHA standards, as well as train workers on workplace safety. Employers who violate these mandates can be held accountable when employees are injured on the job. If your case involved the negligence of a third party, it could also be possible to receive compensation for pain and suffering, future lost wages, and more. The well-known risks of construction don’t negate your rights. If you have been hurt, you can be protected under the law and obtain the compensation that will promote your financial security and maximum recovery. If you or someone you love has suffered injuries in a construction site accident, contact us online or call us directly at 800.362.9329 to schedule a free consultation with a New York City construction injury lawyer. We can answer your questions and make sure your rights are fully protected.